You may well know that the Defra family, including its arms’-length bodies, holds a vast treasure trove of data. The goal of the Department is to make all non-personal data it holds available as open data – data anyone can access, use and share. To catalyse this transformation, the Secretary of State, Liz Truss MP, has made a commitment to make 8000 datasets available as open data by this summer. That means one third of the government's open data will be published by this department. 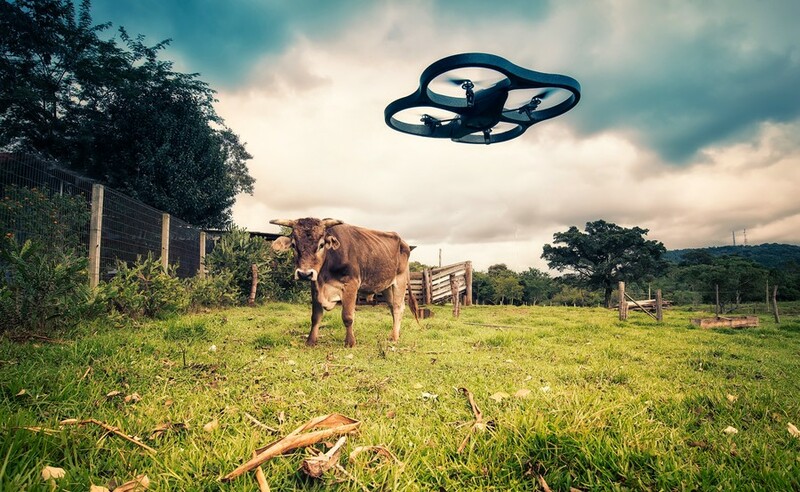 This move will bring change to how Defra and its arms’-length bodies approach a whole range of challenges, while also allowing others, from farmers, to technologists, to digital innovators, the keys to unlock the value this data holds. We’re calling the release of this data, and the transformation we believe it will bring about, OpenDefra. We know that publishing data is just the first step. The next is to focus our efforts on helping to create value by bringing together people to use the data to think up solutions to real-world problems. One area we're very interested in is making farm inspections less intrusive and less of a burden on farmers. Farm inspections are carried out to check that obligations are being met for Common Agricultural Policy (CAP) funding. They can be both costly and time consuming to administer, and burdensome for farmers. They may include animal and crop inspections, or investigations of capital and environmental projects. New technologies such as remote sensing, high resolution satellite earth observation, and drones, combined with open data on land classification, topology measured by LiDAR, and geospatial data, provide the opportunity for a much more efficient means of inspecting farms. Defra is holding an innovation event at the Digital Catapult in Euston, London on 23 March to explore how these technologies and Defra’s data can be used to make CAP inspections more efficient. How could we improve the mapping and checking of field boundaries using Earth Observation data? Some satellite images of land holdings may beobscured by cloud cover: what frequency of images are needed; how can this be solved? How could drones be used to help with farm inspections? How can we overcome some of the operational issues of drones? CAP requires numerous ear tag inspections – could this be automated? Monitoring of water quality, soil cover, soil erosion and organic matter requires time-consuming and repeat site visits. Could this be done remotely? From records on Nitrate Vulnerable Zones (NVZs), to water abstraction, groundwater disposal, pesticide use, veterinary medical visits; to risk maps, cattle passports, herd/ flock registers, and movement documents; to cropping records, seed labels and invoices, and active farmer or young farmer documentation. Could recording these and checking them be automated? Combining Radar and LiDAR; remote sensing, and earth observation presents challenges. How can these be overcome? Inspectors must record the ‘nature and extent of all checks’; a time-consuming process. Could this be made easier? We're keen to hear your thoughts on the above – please let us know what you think by leaving a comment. This should be a highly creative event that will take a full day, but by the end of which will have begun to produce real solutions to some of these problems. The event is free to attend but spaces are limited, so please book soon. Visit this page on the Satellite Applications Catapult site to sign up! With thanks to the Satellite Applications Catapult, Digital Catapult, and Knowledge Transfer Network for their support.